You have found the Norwegian Cruise Discount Promotion page. This is where you get to review current cruise offers from Norwegian Cruise Line. In addition, you will have a chance to check out a quick YouTube video from this cruise line and also review some last minute Norwegian cruise deals. Watch the following YouTube video that highlights Norwegian Cruise Line's newest ship, Norwegian Escape. The Escape began its journey in the fall of 2015 and is certain to amaze cruise lovers. For families or couples looking to book a cruise ship vacation for the end of 2016 or 2017, Norwegian has a great offer for you. See below. Promotion Period: Now through 10/31/16. *Free Dining Package - The first 2 guests in a stateroom may each eat dinner 3 times at Norwegian's specialty restaurants on 3-9 night cruises, or 4 times on cruises 10 nights and longer. Service charges apply. *Pre-Paid Service Charge - The first 2 guests in a cabin will have their stateroom charges paid. *Free Unlimited Open Bar - The first 2 guests in a stateroom will enjoy poolside mojito, highballs in the casino, and a glass of pinot at dinner, all included with the Ultimate Beverage Package. Service charges apply. *Free Wi-Fi - This option offers 250 minutes of internet service per stateroom. *Extra Person Sails Free - The 3rd and 4th persons in a stateroom sail free on select sailings. 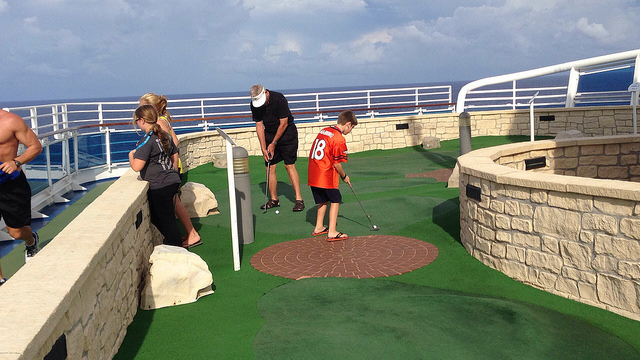 Restrictions: Guests in oceanview cabins and above have 2 free options. All others have 1 free option. **The offers above are on select sailings and for select room categories. Some stateroom categories such as BX, IX, MX and OX are excluded. Below are some available last minute Norwegian Cruise Line deals. 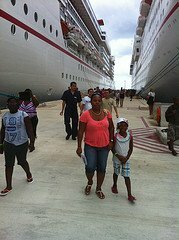 Similarly to booking a Norwegian Cruise promotional sailing, when you book a last minute cruise package you generally save money on your family's cruise vacation. 3. 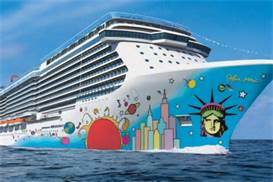 Find a 7-night Norwegian Escape (newest ship) cruise sailing from Miami on December 17th to the Caribbean with fares starting under $800 per person (before taxes and fees). Click here to find many other Norwegian Cruise last minute sailings. It is really easy to book one of Norwegian's discounted cruises. 1. If you have a Travel Professional, call that person. 2. Complete the Cruise Quote form below and we will find you a cruise sailing that works for your family. 3. Visit our booking site: Petes Travel Center (PetesTravel.com), find the cruise you want and book it. 4. Visit Norwegian Cruise's website and book the cruise there. It is our hope that you have found this Norwegian Cruise Discount Promotion page helpful.